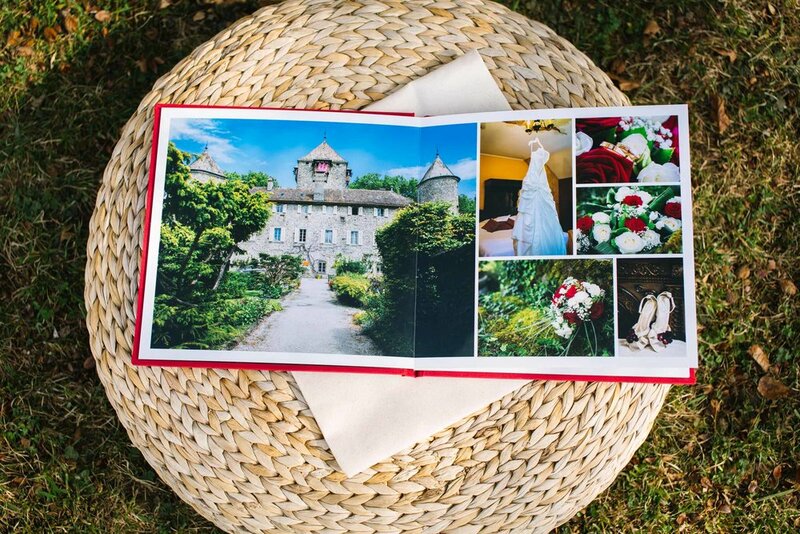 With every wedding collection I offer my couples a 20 page linen photo book. Each one is handcrafted in the USA and designed by me to tell the story of your wedding day. The pages are much thicker than normal photobooks and lie flat so that your photos don’t get lost in the crease between the pages. The paper is glossy and the colours are vibrant. 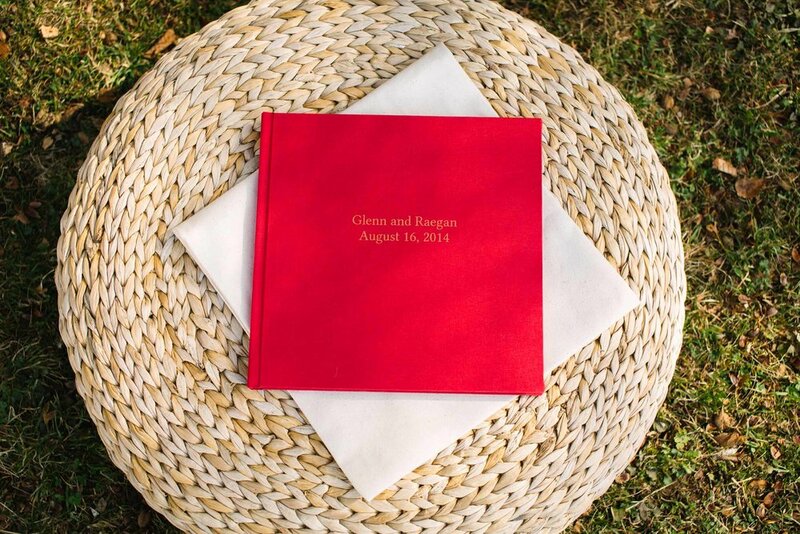 Definitely for fans of colour, the linen album covers come in a wonderful range of different shades and I encourage couples to pick a colour from their wedding theme, like the valentine red that Raegan and Glenn chose for their album. 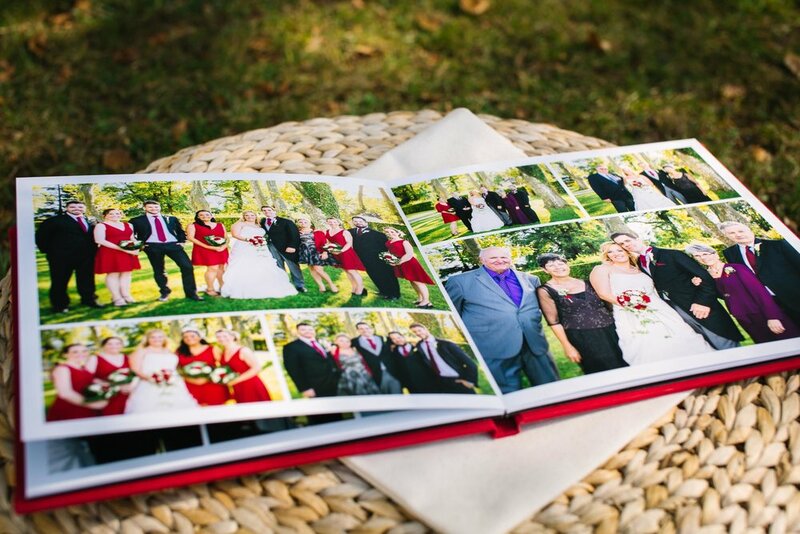 When you look through the album, each page is framed by the bright red and it really brings the whole thing together. During the personalised design process you can add pages for more pictures or to highlight special groups or moments. For a full day like Raegan and Glenn’s I would normally go for 30 pages or more but if you don’t mind only choosing your absolute favourites we can fit an entire day into only 20 pages! You can also upgrade to a leather cover and choose from a number of different typefaces for the title on your cover. 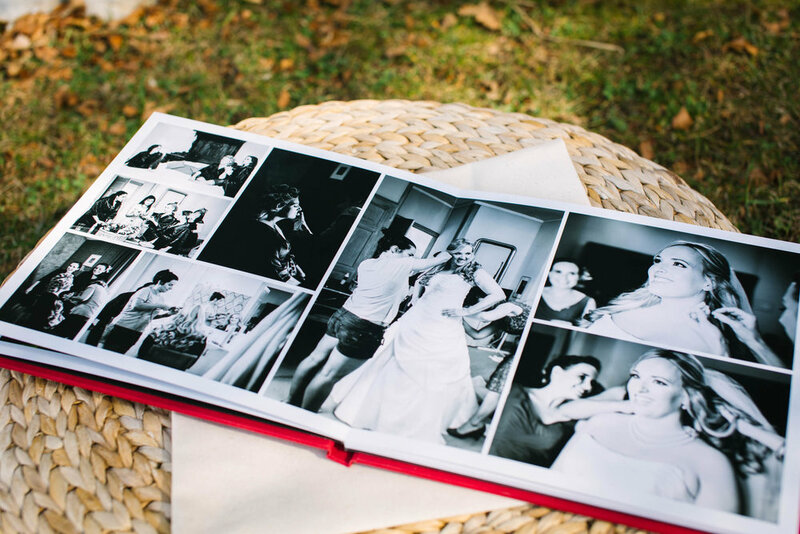 Each album comes with a canvas protective sleeve and some hints and tips for keeping your wedding album in perfect condition for many years to come. I am a stickler for backing up so all my client’s images are well archived and stored so it doesn’t matter how long it takes you to decide to complete your wedding album I am always happy to see your images in print and off the hard drive. As you can see from the dates, this beautiful album was almost three years in the making. Your wedding photographer doesn’t do albums? I am happy to take enquiries for wedding album design. I usually ask to see the images first so that I can help you choose the best printing options for the quality of your images. I also work with a number of different album companies in lots of styles. all you have to do is get in touch with your ideas and I can make them a reality.